One impressive ability of certain viruses is how they use protein shells to transport their genomes safely through a living organism, releasing the undamaged cargo just where needed. Researchers at the University of Washington have now developed a protein icosahedron modeled on the virus shells, to transport man-made cargo into individual cells within the body. The research bodes well for the development of an entire field of artificial protein modeling which may lead to the creation of a wide variety of molecular tools and vehicles for clinical applications. 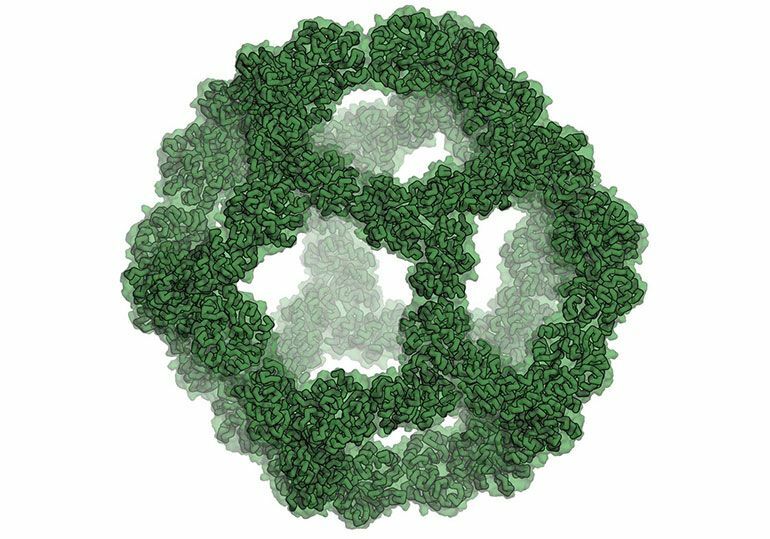 The icosahedral protein nano-cage was originally created in a computer simulation, and a laboratory experiment within E. coli led to the genesis of the actual vesicle from biochemical components and DNA strands that provided the data for its construction. The self-assembled cage was then analyzed using a microscope to confirm that it closely matched the design developed on the computer.